Wherever you are in Ireland, we have a network of sociable singles far and wide for you to meet today! If you are single in Ireland and looking to meet that someone special, you are not alone. Ireland is full of singles looking for love. Urbansocial Ireland online dating site has been bringing together Irish singles from across the country for dating, romance and relationships. Urbansocial Ireland has single Irish men and single Irish women actively dating other local singles near them. It is free to join and search our dating members online. The Emerald Isle is home to many people, but finding love in Ireland is becoming increasingly difficult like elsewhere thanks to modern life. Singles in Dublin, Cork, Limerick and Galway are finding love online thanks to Irish dating sites like Urbansocial, that make finding other Irish singles effortless and fun. 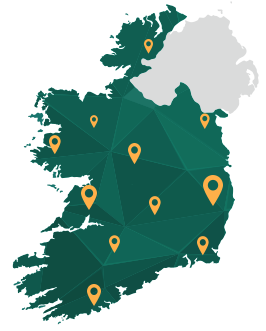 Urbansocial Ireland takes just minutes to register and easily search for Irish singles near you using our extensive search options. With fun features, great search options, and dating tips and date advice on our blog, there is plenty on offer to help you find Mr or Ms Right on your doorstep. So what are you waiting for, get online dating today and find that someone special! Urbansocial online dating in Ireland for sociable Irish singles across the Republic of Ireland. Online dating in Ireland with Urbansocial is a great way to meet single men and single women looking to meet other Irish singles internet dating. Launched in 2003, Urbansocial online dating service has helped singles across Ireland, from Dublin to Cork, Sligo to Tipperary. Online dating in Ireland can be made more simple and fun with Urbansocial.com. Our online dating service allows dating members in Ireland to add a dating profile, photograph and information about themselves and what sort of person they are looking for. Members can then search for other singles in Ireland, and send messages through our secure online messaging service. Our blog also keeps dating members up to date with the latest dating news, advice and events in Ireland. So, what you waiting for, join now, and get online dating now! Online Dating in Ireland, Ireland dating can be daunting and hard work. With so many singles in Ireland to meet, it's not always that easy to find time or opportunities to meet. That's why Urbansocial online dating was created, to give singles in Ireland more opportunities to meet each other. If you are single in Ireland and looking for a date, sign up today and get started with Urbansocial.